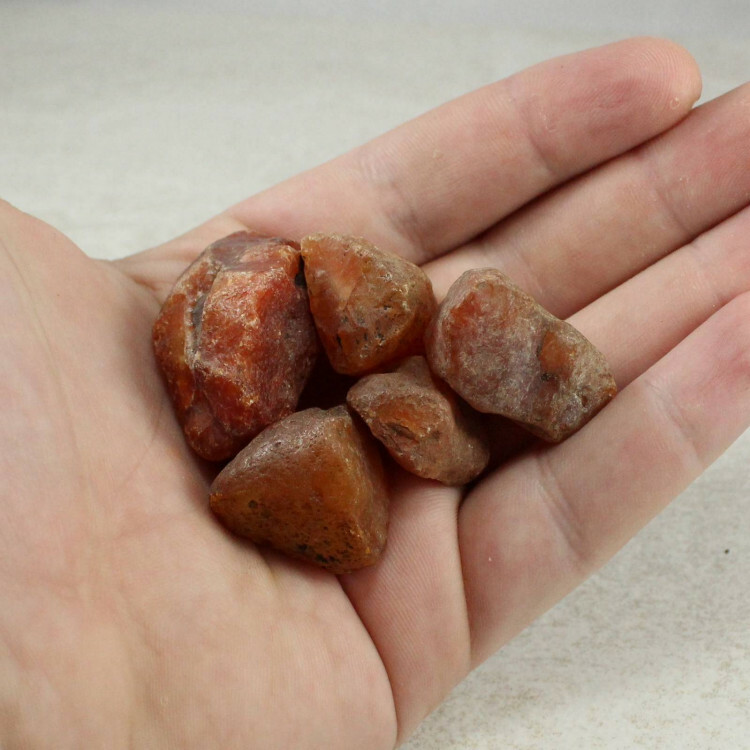 Rough Carnelian pieces – single stones, or a kilogram bag. 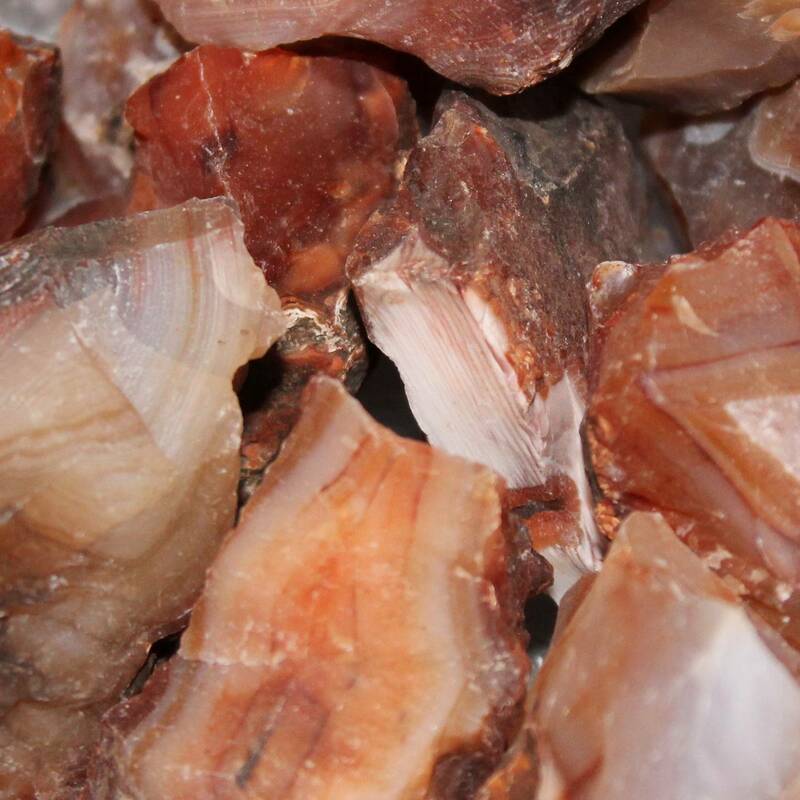 Lovely quality pieces of rough Carnelian. Carnelian is a lovely red stone, a gorgeous variant of Chalcedony. 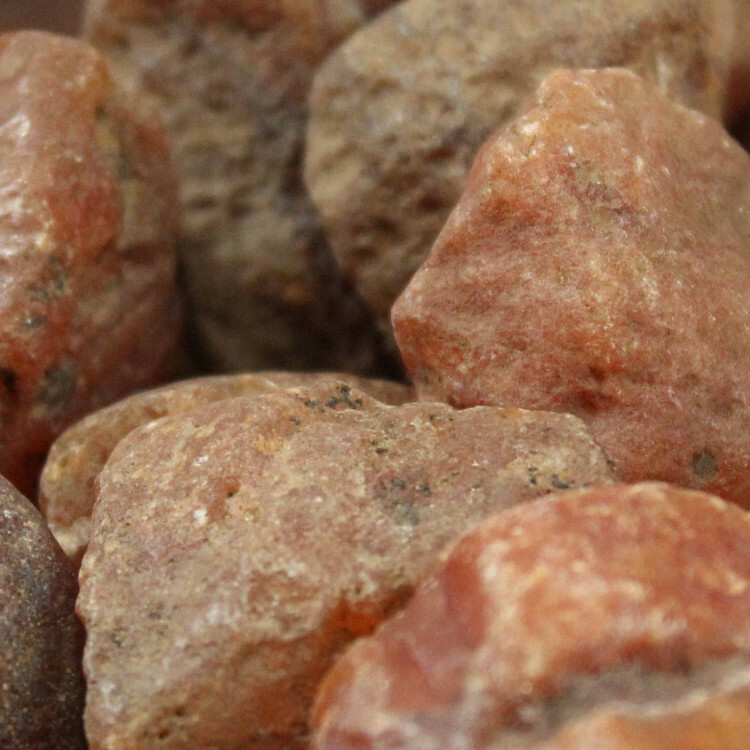 Collectors may be interested in a single stone as a display item – as there are several shades of Carnelian from orange to red, they can make an interesting display. Because these are natural stones, we can’t guarantee colours or sizes etc. There is a large amount of variation amongst the stones! The pieces are reasonably small, measuring around 20-50MM each. As such, they may be ideal for rock tumbling, if you get the 1KG packet. For more information about Carnelian, please see our main Carnelian page. 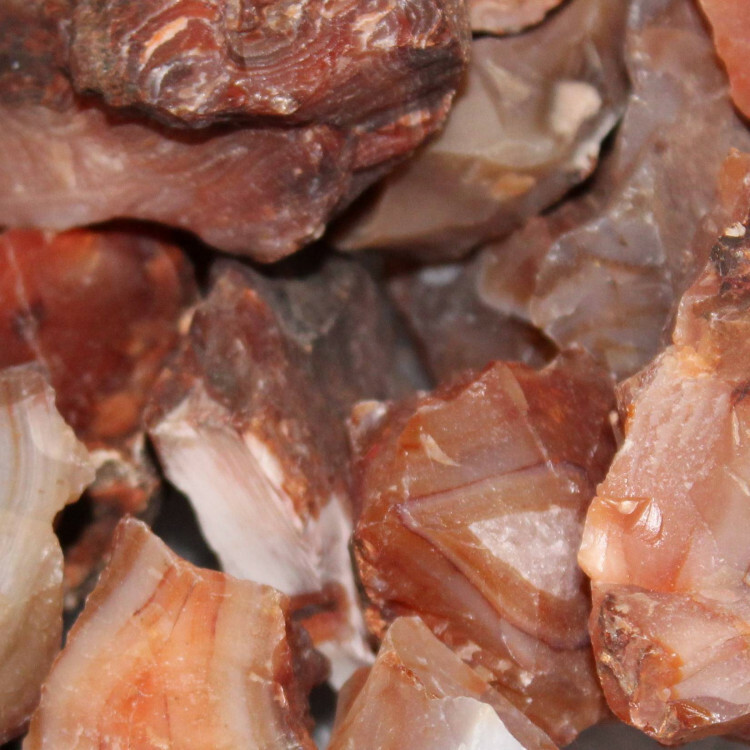 A kilo of Carnelian is a lot! Big lumps of the stuff, too – the Largest fills my palm. Far too much for my Viking Display, but that could be a bonus for some! Colour quality is a mixed bag – some are a deep red whilst others are a milky pink-white and all are rough. Almost reminiscent of pieces of broken flint one might find on the beach. Still, Excellent product as ever.